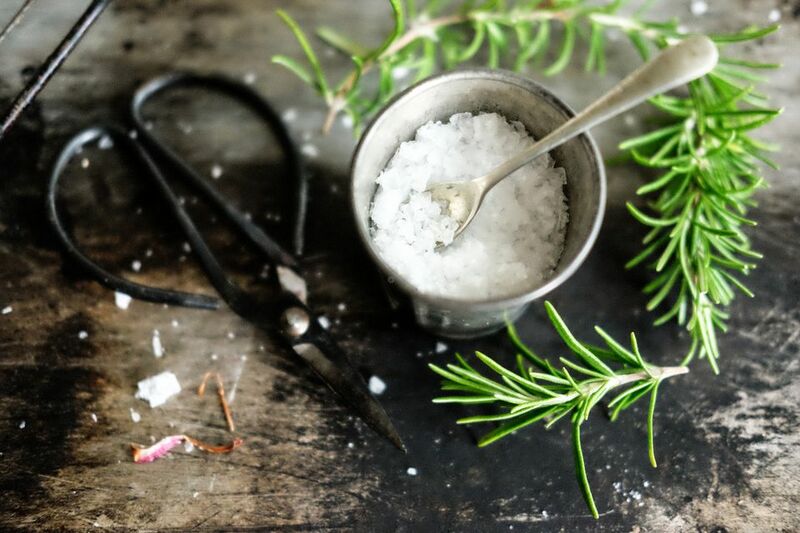 Making your own rosemary salt is easy, fun, and better than those stale supermarket salt and herb blends. Homemade rosemary salt also makes a great edible gift for the gourmets in your life. Put the rosemary leaves and coarse salt in a food processor. Pulse on and off about 8-10 times, or until the rosemary is blended into the salt, and the salt is similar in texture to table salt (it will be damp and look almost like wet sand). Add the Kosher salt to a bowl; stir in the rosemary salt mixture and combine thoroughly. Spread out on a baking sheet to dry for a few hours and then transfer to jars with tight-fitting lids.